Kata Beach in Phuket for both quiet relaxation and active. 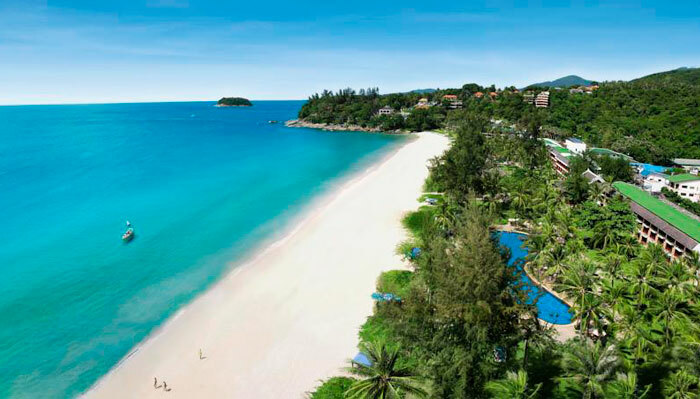 Here, clear sea and white sand, making it one of the most attractive beaches in Thailand. Not far from the coast is located a coral reef. Share Kata Beach into two parts Kata Yai and Kata Noi. Kata Yai is a great place for kids and beginner swimmers. Famous beach quiet, calm seas and gentle entry into the water. This creates a unique atmosphere of peace and relaxation. Kata Noi contrary created for active recreation. In the period from May to October, there reigns a strong wind. They raise high waves that attract surfers like a magnet. When the wind subsides season, this place seems to be as quiet and calm as the Kata Yai.